Rav Daniel Travis’ Shiur on Wine was a Hit !! 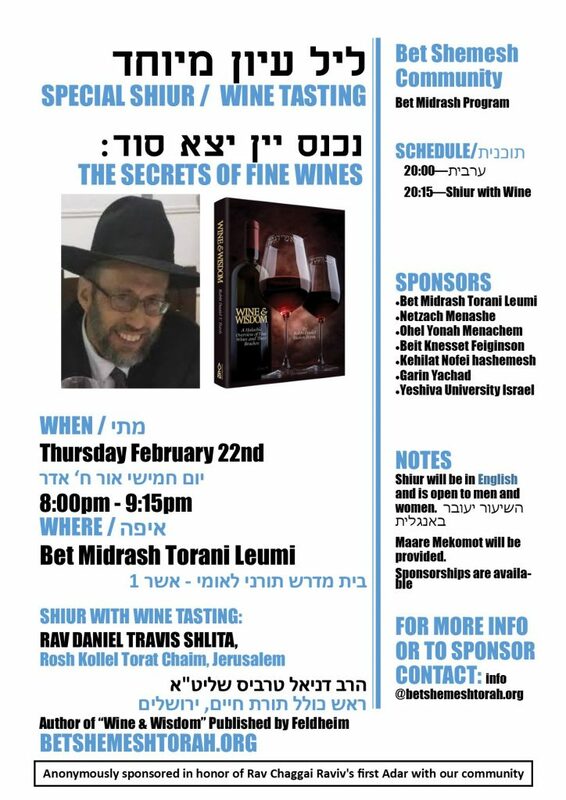 On Thursday night, February 22nd, we hosted Rav Daniel Travis Shlita, Rosh Kollel of Toras Chaim in Jerusalem. He is the author of Wine and Wisdom published by Feldheim. The Rav spoke about the Bracha of HaTov v’HaMeitiv. In addition to the usual cholent and kugel, we experienced the shiur with wine tasting together. 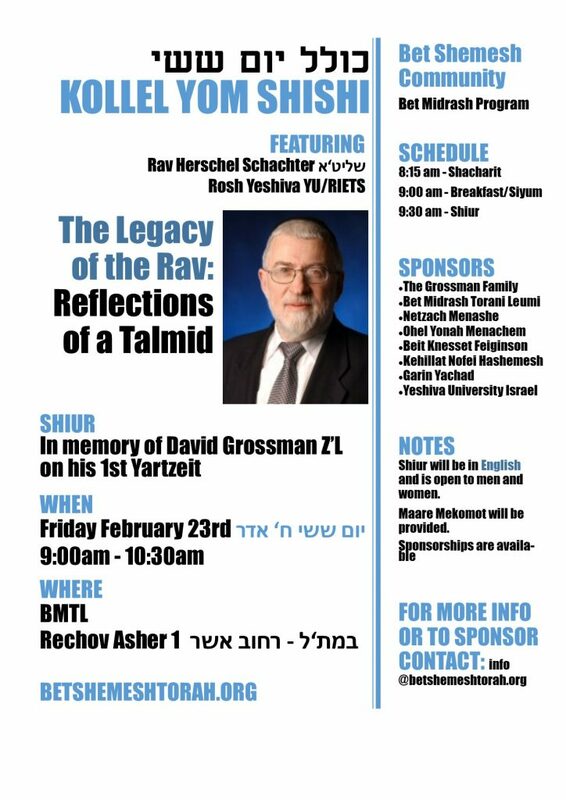 Another great program by the Bet Shemesh Community Beit Medrash initiative this morning with more than 125 men and women coming to hear Rav Hershel Schechter Shlita. Special thanks to the Seth Grossman and family for sponsoring in commemoration of the 1st yahrzeit of Mr David Grossman z’l. Special thanks to the entire BS community and the committee for all their help in making this a huge success.